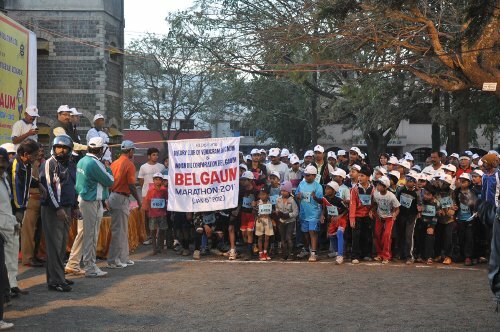 Rotary club of Venugram Belgaum and Indian oil Corporation together organised “Belgaum Mini – marathon 2012” with the them “environmental awareness and end polio “. Over 1200 participants took part in the mini marathon held recently. The marathon was flagged off by Sri.Girish Hosur ( District Forest Officer )at RPD ground ,Tilakwadi. Avinash Potdar (Rotary District Governor) and Indian Oil Corporation fleet manager Naveenkumar were present.